← Are you Using the Correct Filing Status When Filing Your Income Tax Return? For most taxpayers, the tax deadline has passed. But planning for next year can start now. Being organized and planning ahead can save time and money in 2014. Adjust your withholding. Each year, millions of American workers have far more taxes withheld from their pay than is required. Now is a good time to review your withholding to make the taxes withheld from your pay closer to the taxes you’ll owe for this year. This is especially true if you normally get a large refund and you would like more money in your paycheck. If you owed tax when you filed, you may need to increase the federal income tax withheld from your wages. 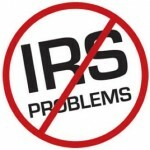 Use the IRS Withholding Calculator at IRS.gov to complete a new Form W-4, Employee’s Withholding Allowance Certificate. Shop for a tax professional. If you use a tax professional to help you with tax planning, start your search now. You’ll have more time when you’re not up against a deadline or anxious to receive your tax refund. Choose a tax professional wisely. At Lefstein-Suchoff CPA & Associates, LLC, we take the proactive approach to meet each client’s unique, personal, and business tax goals and needs. Our goal is to save you more money in taxes than our overall fees. Execution is not merely about meeting deadlines. It is implementing those calculated and deliberate plans with expertise and skill within the bounds of taxation laws and current accepted business practices. We are assertive tax planners. Consider itemizing deductions. If you usually claim a standard deduction, you may be able to reduce your taxes if you itemize deductions instead. If your itemized deductions typically fall just below your standard deduction, you can ‘bundle’ your deductions. For example, an early or extra mortgage payment or property tax payment, or a planned donation to charity could equal some tax savings. See the Schedule A, Itemized Deductions, instructions for the list of items you can deduct. Planning an approach now that works best for you can pay off at tax time next year. Keep up with changes. Find out about tax law changes, helpful tips and IRS announcements all year. At Lefstein-Suchoff CPA & Associates, we make it our prerogative to remain up to date on changing tax laws and IRS codes. We use this knowledge in providing exemplary service for our clients. This entry was posted in Tax Changes and tagged File Returns, File Tax Return, IRS Problem Help, IRS Tax Problems, Tax Problem Solutions. Bookmark the permalink.